Most of the commercial chocolate bars we buy and consume are full of unhealthy sugar. 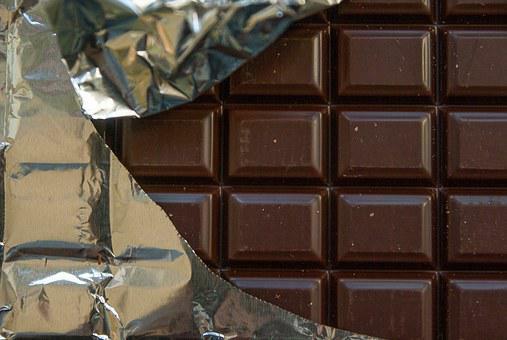 But eating dark chocolate, made from cocoa seed, actually has lots of health benefits. Said to be among the best sources of antioxidant, a 100 g bar of the dark variety comprises a great amount of fiber, copper, iron, magnesium, manganese, potassium and many other nutrients. It is also thought to help improve blood flow and lower blood pressure. However, like any other sweet treat, remember to eat it in moderation! In a saucepan over low heat, mix together brown sugar, honey, peanut butter, vanilla and spread extract. Stir until ingredients are blended well. Remove from heat. In a large bowl, combine oats, cinnamon and salt then pour lemon butter mixture into the bowl. Add dark chocolate, almonds and cranberries. Spoon mixture into a 9×13-inch baking dish sprayed with cooking spray. Cook at a pre-heated oven (175 degrees Celsius) for 15 to 18 minutes, or until browned. In a small heat-proof bowl, mix together dark chocolate, 2 tablespoons water, butter, chipotle pepper and salt. Fill a saucepan with water and simmer over low heat. Place bowl over pan of simmering water until butter melts, stir until mixture is smooth. Set aside to cool. In a separate heat-proof bowl, whisk together egg yolks, 2 tablespoons water and sugar. Set over the pan of simmering water and stir until mixture is hot, about 3 minutes. Pour egg mixture into the chocolate mixture and stir until smooth. Allow to cool to room temperature. Gently fold in whipping cream into the mix. Divide mixture into ramekins. Cover and simmer for at least 4 hours before serving. Next post Next What You Can Do About It?